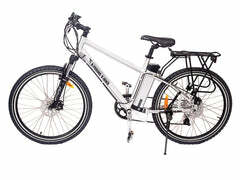 The Malibu Elite Max Beach Cruiser electric bike is a fun electric bike built for comfort and cruising, it features both a twist throttle and pedal assist mode! Tackle hills or just cruise along the boardwalk at your favorite beach destination with the powerful and responive 36V battery and 300 watt motor! 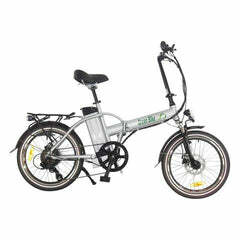 This lithium powered electric bike features an aluminum frame, lithium battery, and disc brakes all at an amazing price. 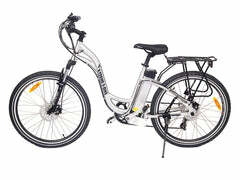 This comfortable electric bike is ideal for leisure riders who want a relaxed upright riding position. 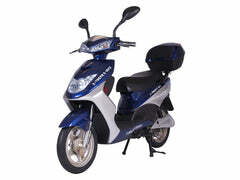 The handlebars come forward towards the rider and the large comfortable seat ensures for a smooth ride. 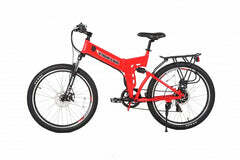 This bike has On/Off Road Tires for a smooth and predictable ride as the motor lets you cruise at 20 MPH. 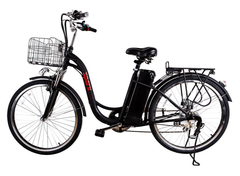 As of July 12th, 2017 each bike comes with an all new ZERO RESISTANCE 300-Watt rear hub motor with an automatic clutch. 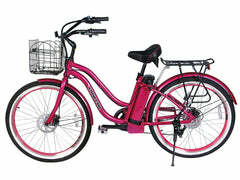 This makes riding without power a breeze and you will feel no resistance from the motor. 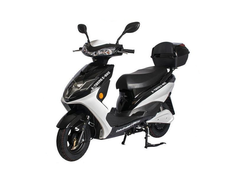 The lithium battery is rated for over 800 charges and is light-weigh, mounts right behind the seat. 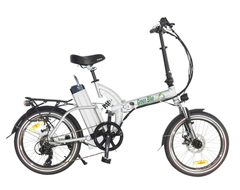 The bike only weighs 50 lbs with the lithium battery installed. 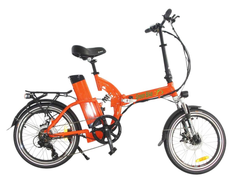 Because the bike is so light-weight it ensures you will have strong power from the motor. Fenders are include on this frame to prevent mud or water from splashing up during riding. 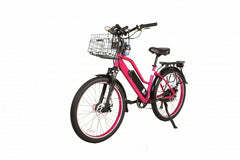 A basket and heavy duty rear rack is included with each purchase. The integrated LED display on the handlebars will allow you to toggle between the three levels of pedal assist and use the electric horn. 1. TWIST THROTTLE MODE GIVES YOU POWER ON DEMAND! 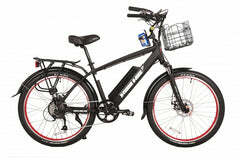 Turn off all electric power and ride like a normal bicycle. Front and rear mud guards will make for a better riding experience during messy conditions. Helps prevent dirt and water from splashing on to you.